As some of them gained access to the apartment, one protester threw a shopping cart at Aijaz Gul, a member of the Pakistan Muslim League-Nawaz’s (PML-N) UK unit. A mob attempted to attack the Avenfield property of former Pakistan Prime Minister Nawaz Sharif’s family here, British authorities said. The protesters attempted to break down the doors to the property on Sunday night, Geo News reported on Monday. Soon after, the Metropolitan Police reached the site of the protest near Avenfield House, a luxury housing scheme and started a search. Police officials said there were reports of protesters possessing weapons including knives. An investigation into the incident was underway but no arrests were made. The police said that legal action will be initiated over the destruction of private property. 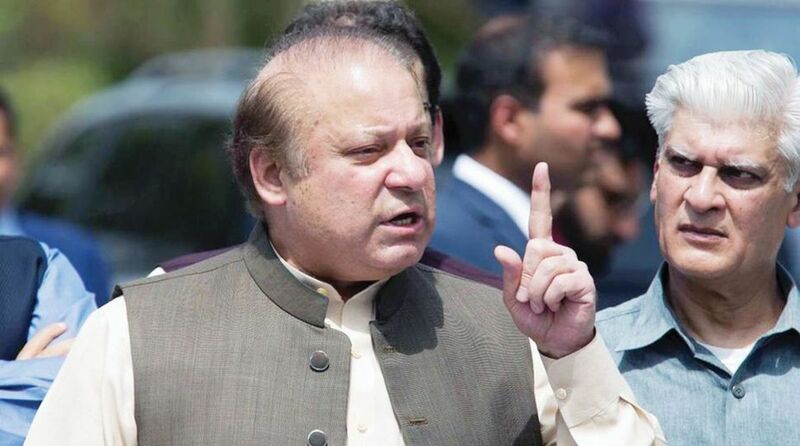 The incident came following the Pakistan accountability court’s sentencing of Sharif, his daughter Maryam Nawaz and son-in-law Captain Mohammad Safdar Awan (retd) in the Sharif family’s purchase of the upscale property. The British unit of the Pakistan Tehreek-e-Insaf (PTI) condemned the incident and said there was no truth in the accusation that the party’s workers were behind the incident. “We are not associated in any way with the attack on Hussain Nawaz’s residence or the related protest,” a PTI UK spokesperson stated, adding that the party demands action be taken against the suspects.